Supporting the famous Empire Builder train from Chicago to Seattle and Portland. 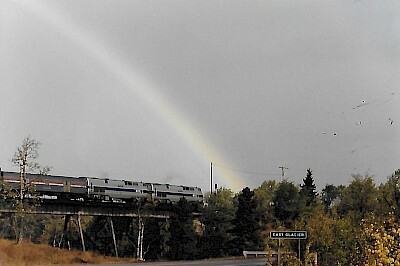 Welcome to the website for and about the Empire Builder passenger train! The service provided by the Empire Builder needs your help to keep it in place and make it stronger! Choose the individual station to discover information about the community as well as all available services. News and story items pertaining to the Empire Builder, long distance passenger trains, and intercity rail in general. Opinion pieces written about challenges today's intercity passenger trains, including the Empire Builder. Find out how to advocate for the Empire Builder at state and national levels, as well as find a discussion forum. Let us know what you think about the site. Let us know how we can make it better. Volunteer to maintain station pages on this site in your area. Use one of these links to track your individual Empire Builder on line.